When one “snack” is not enough, you go back for more, yes? Well that’s exactly that this star did. Two planets are known to orbit the distant star, Kepler-56 and new findings from the Harvard Center for Astrophysics (CfA) show these two planets will eventually be consumed by their host. The planets Kepler-56b and Kepler-56c will be completely devoured in 130 and 155 million years – a short time, astronomically speaking. This is the first time the time of death has been predicted for multiple exoplanets from the same system. This is important to us here on Earth as it gives us a glimpse into the future of our own solar system. Roughly five billions years in the future, the Sun will swell to red giant size, thus engulfing both Mercury and Venus. Kepler-56 is also on its way to becoming a red giant and currently is four times as large as the Sun. As this star continues to age and swell, its tidal forces will strengthen, pulling the two planets in to their ultimate demise. The two planets orbit their host much closer than Mercury or Venus – Kepler-56b orbits once every 10.5 days and Kepler-56c orbits once every 21.4 days. Due to their close orbit, they will meet their maker a lot sooner. Astronomer Gongjie Li and her team were able to calculate how the star’s size will evolve as well as the planets’ orbits in order to predict when they will be consumed. 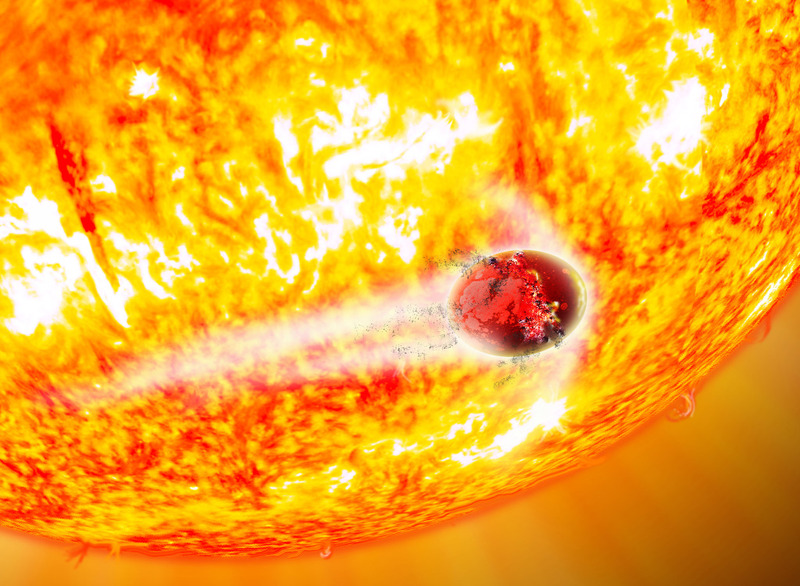 Before their time is up, both planets will have had their atmospheres boiled away by intense heat from the star, and they will be stretched by the strengthening stellar tides. Perhaps as some form of cosmic torture, the third planet in the system, Kepler-56d, will not share the same fate as Kepler-56b and Kepler-56c, but will be forced to “watch” their destruction. The Kepler-56 system is known for being the first known “tilted” multi-planet system. 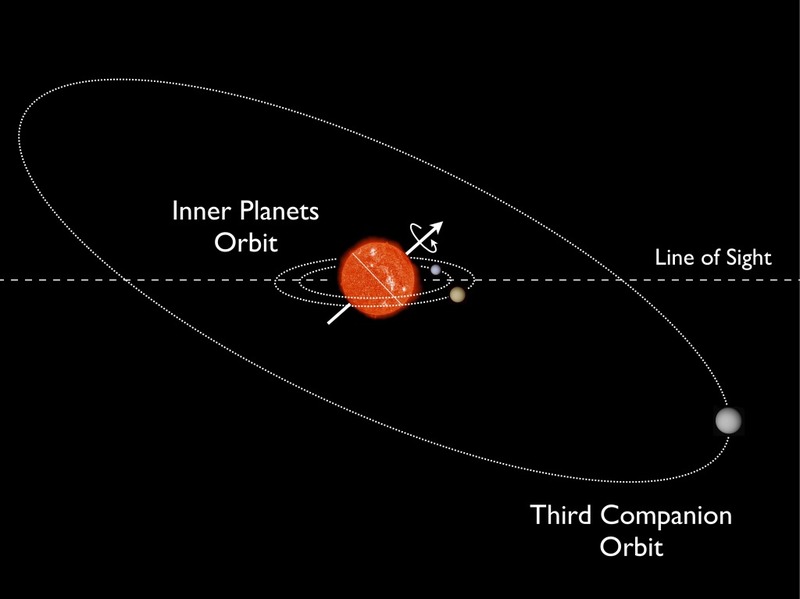 Meaning, the two inner planets orbits are extremely tipped from the star’s equator. This discovery was revolutionary as planets should orbit in the same plane as the star’s equator (as is the case with our solar system) due to the fact that planets and their host star form from the very same disk of gas and dust. Li and her team were able to determine the tilt was either 37 or 131 degrees. They also observed the outer planet, Kepler-56d, was skewed as well. Future studies will be able to help astronomers better understand why this system is tilted. Has The LHCb Seen Another Glimpse of a New Kind of Physics?